Designing a house is not an easy task, given the numerous types of interior designs that are coming up with each passing day. It is even harder for those who love uniqueness and style. 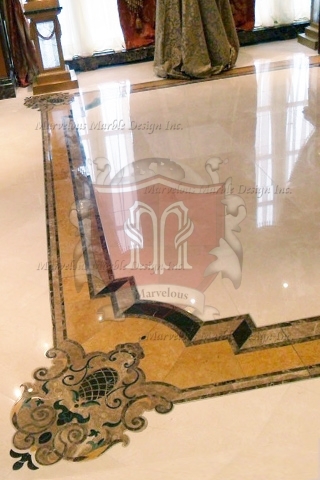 Among the most commonly used interior designs is the marble floor border design with gold color marble. For many centuries, marble stones have been used by builders to design floors and walls. This is largely because they offer unique features and appearance that other materials can’t. Secondly, they come in a wide range of colors that give builders a chance to customize their interiors. One such color is the gold color marble. Gold is one of the most attractive colors that everyone wants to be associated with. Imagine the kind of effect that a line of high quality marble floor borders will have on your house. 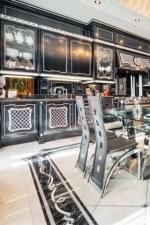 Many homeowners are using these borders to create a custom luxury interior space that defines their taste and style. Over the years, these stones have been associated with high-end spaces such as palaces and Luxury Mansion. 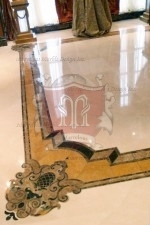 But you can now bring this experience closer home by decorating your floor with original pieces of marble floor border design with gold color marble. Apart from being attractive, these borders have been found to last longer than other ceramic floor tiles. Your floor is always exposed to harsh conditions such as excess traffic, weight, and knocks. So, for it to withstand these hazards it should be made of strong and durable materials. 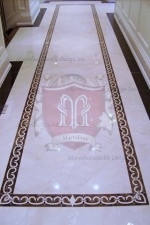 With marble floor borders, you enjoy longevity, elegance, and uniqueness. It can be expensive for you to keep repairing or replacing your floor every now and then; and therefore the best way to do away with such expenses is to create a durable floor with marble floor border design with gold color marble. Another important thing about gold color marble floor borders is that they age gracefully with their original features intact. They also draw their inspiration from Mother Nature. 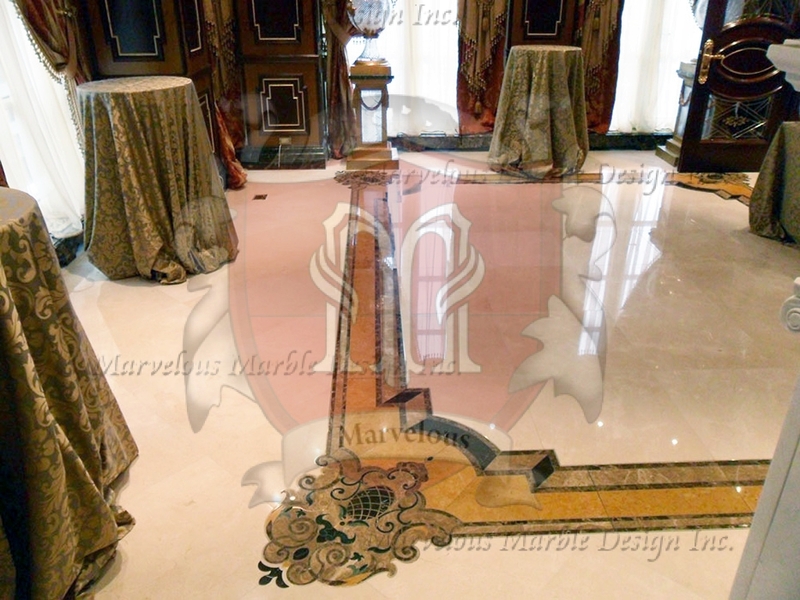 A custom gold color marble design perfectly combines modern and customary elements to bring your room back to life. The flowery design is purely created by hand, and easily provides a simple way to add color and value to the house. This design also comes with special patterns that will give each room a polished look. Your visitors will surely fall in love with your floor the moment they set their feet into the house.